Text tab contains 3 types of text sizes (heading, subheading, and body text) as well as ready-made text badges. To place text on the artboard, you just need to select the proper text template and click on it. Text size. Enter font size, use a slider or management buttons on the sides of the selected text to change it. Text field size. Drag corner points and side points. If a word does not fit the text border, automatic hyphenation wraps text to another line. Text rotation. Select text and drag corner points to rotate it. Font types and subtypes. 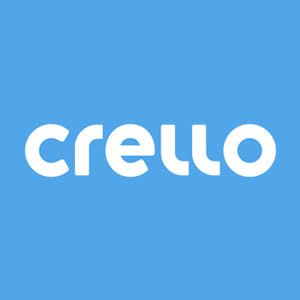 Choose the one you need from the Crello database (italic, bold, uppercase, underlined, etc.). Text color. Pick it out from the color palette or color wheel. It is also possible to change a color of the individual letter. Just select a letter or few to do it. Text alignment. Arrange it to the left, right or center and to the top, bottom or center. It is applied to the whole text block. Letter spacing. Use a slider and change interval between letters. Line height. Use a slider and change interval between lines. Layer order. Move your layers forward and back. Text transparency. Сhange the value from 0 to 100 and add transparency to your texts. Open Uploads and go to the Fonts tab. Here you see those fonts in alphabetical order. You are welcome to upload your own fonts and use them in the designs. If you delete your font, it gets replaced by the standard font in all the designs, where it was applied.